← Is Being a Good Person Preventing Us from Being a Better Person? I got on an elevator in my apartment building Sunday with two men and a bouquet of blue balloons. Baby blue, to be specific. Me: Is it somebody’s birthday or is somebody having a baby boy? Guys in Elevator (obviously jubilant): We are having a baby boy. We just found out and people are coming over to our reveal party. I noticed that only one of the men was carrying balloons. The other one was carrying bottles of champagne. Me (out loud): Congratulations! I hope you have a perfect baby! Me (in my head): What if your baby’s not a boy after all? You two are perhaps not what your parents expected but you are so happy. I hope your baby’s happy too. You never know who your child will be. Today is Transgender Day of Remembrance which may or may not show up on your Hallmark calendar. You can read more about it here. For what it’s worth, most of the congregations I visit have trans members or visitors, or there are trans folks in the families of our parishioners. Depending on how safe your family is, you might not even know that a distant cousin or nibling (the children of our siblings) is trans. This is the case in my own family of origin. Revelation is generally terrifying. Ask John of Patmos. Nobody wants to hear about “the synagogue of Satan.” Nobody wants to see death on a pale horse. You realize you are not called to be a lawyer after all . . .
You realize your parents are imperfect human beings . . .
You realize that you don’t love ___ anymore . . .
You realize that do not have a Cisgender body. 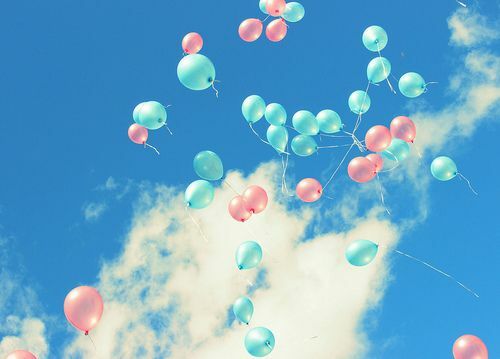 Gender reveal parties are interesting as long as we – ourselves – realize that God is God and we are not. The God who made eyelids and toes and human skin has also created a diverse array of human beings all created to enjoy and glorify God forever. Remember that time Peter the apostle was having a revelation about “unclean things” in the book of Acts? Today is a good day to remember them by name. It’s also a good day to educate ourselves about Lesbian, Gay, Bisexual, Transgender, and Queer people. Maybe it’s makes you uncomfortable. Maybe this is very new and unfamiliar to you. But there are children of God out there who need and deserve a spiritual community that loves them in the Image of God. Because they were created in the Image of God. Clothed in the goodness of God. Thank you J, A, S, A, S, M, M, T, P, and G. You are blessings in the life of the Church and in my life. Thank you for acknowledging all that are.